A “Gears of War: Ultimate Edition” has been rated by the Brazil Advisory Rating Board. A Gears of War Remaster rumor has been floating around to have been under development by Splash Damage for Xbox One. 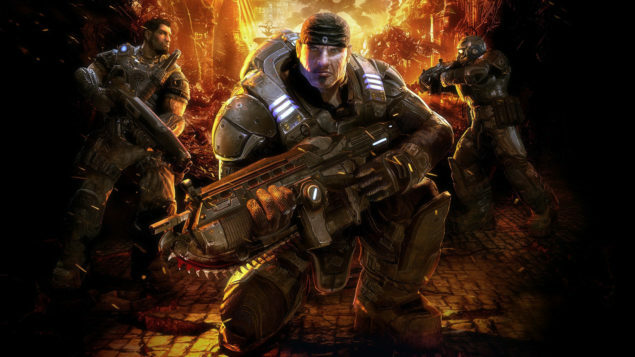 Phil Spencer has been teasing something Gears of War related supposedly being at E3 2015. While a Gears of War: Ultimate Edition would be quite a welcome addition to the Xbox One’s library and hopefully to the PC’s as well, a Gears of War 4 announcement would be just more effective. Of course one does not exclude the other as having a major announcement at E3 for a sequel coming out in 2016, while releasing the Ultimate Edition later this year would be the perfect way to entice both fans of the series as well as attract new. Regardless Microsoft will have a huge E3 full of exciting announcements. Rare is announcing at least one new game for the Xbox One, The new Crackdown will surely be revealed and more. The Rise of the Tomb Raider is sure to have a strong presence with some game play demonstration. The new Forzatech engine and Forza Motorsport 6 are sure to impress, and surely some DX12 supported games are bound to make an appearance as well. There will be plenty more surprises from Microsoft in what will surely be one very exciting media briefing for both Xbox and PC gamers. We will bring you any new information from Microsoft as soon as it becomes available. E3 2015 will be held on June 16-18 at the Los Angeles Convention Center. Be sure to check out our previous Microsoft coverage for more information, here and here.